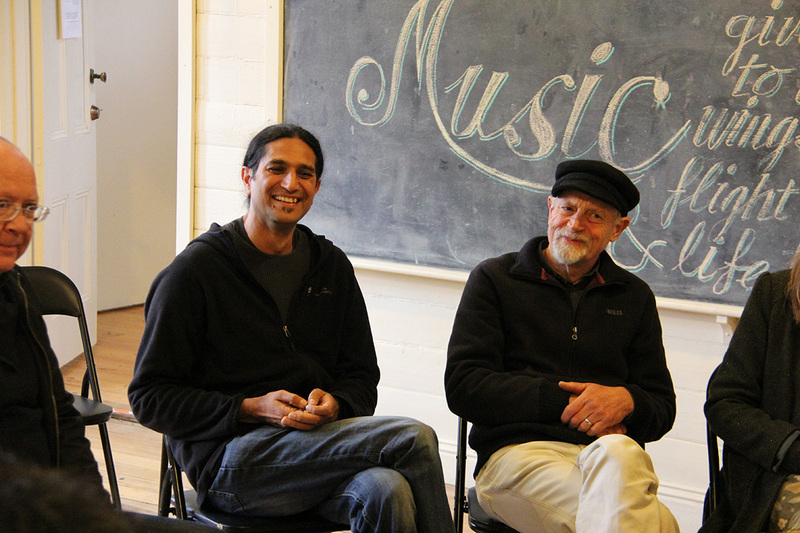 Singing from Country is an eco-cultural-arts collaboration between traditional landowners, holders of ecological wisdom and songwriters. 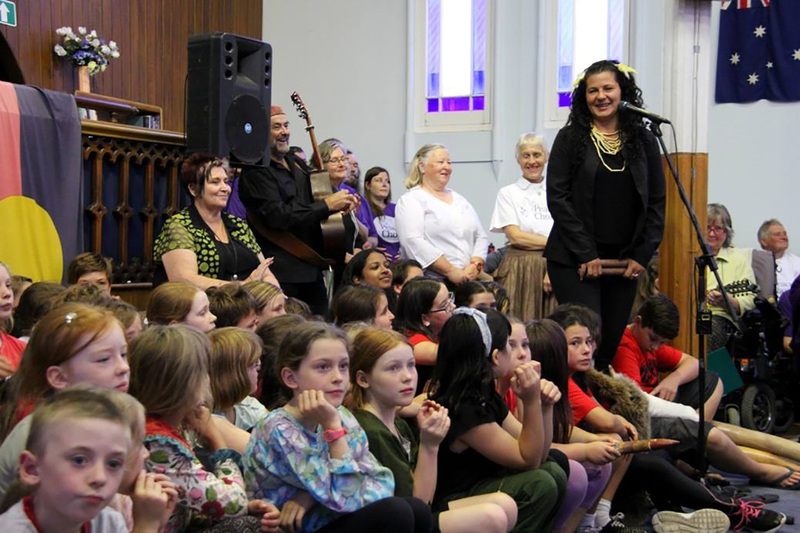 A unique one year project, Singing from Country was piloted in Dja DJa Wurrung country (the Goldfields region). 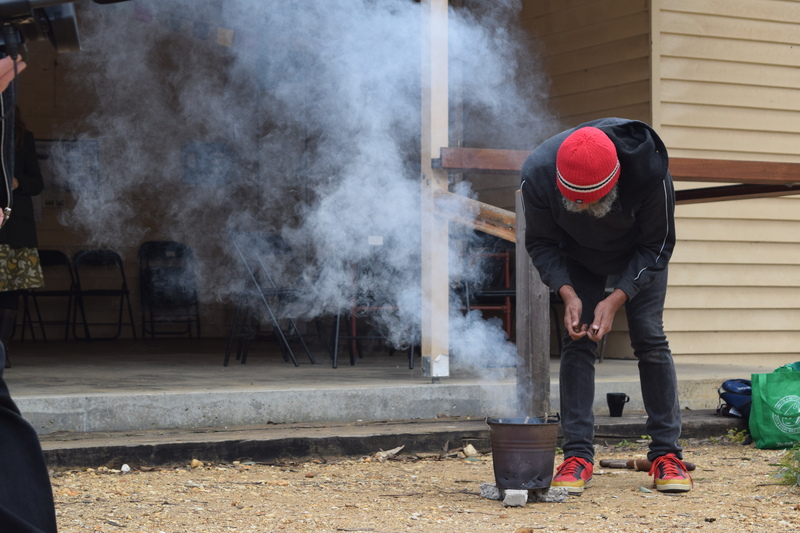 The project was funded through the Australian Government’s Regional Arts Fund administered in Victoria by Regional Arts Victoria and led by Community Music Victoria in partnership with the Victorian Aboriginal Council for Languages and Storytelling Australia Victoria. Click below for a short documentary video telling the story of the project. After years in development, the Singing from Country Project went live in May 2016, with a call for songwriter applications yielding a fine group of Singing from Country Songwriters - ARIA award winners Kavisha Mazzella and Neil Murray along with Carl Pannuzzo and Eva Popov. 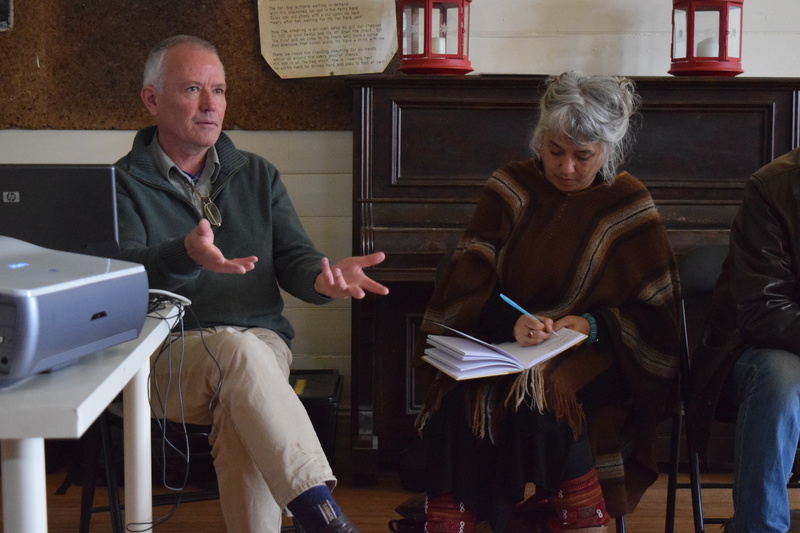 A September workshop in Fryerstown wove together the project’s three essential threads of knowledge - ecological experts, the holders of indigenous wisdom and songwriters. Full of ideas and inspiration, the songwriters followed these threads to connect to place. Their process and songs were unveiled in one jam-packed Saturday night concert to a large audience at the Maldon Folk Festival in October 2017. Finally, in the Castlemaine State Festival (March 2017) another large-scale concert saw local choir-leaders arrange and perform the Singing from Country songs to a delighted audience which included the songwriters. These songs are now available on the CMVic website for choirs to sing and soon, and a documentary film has been made about the project to help share the Singing from Country concept to other regions. 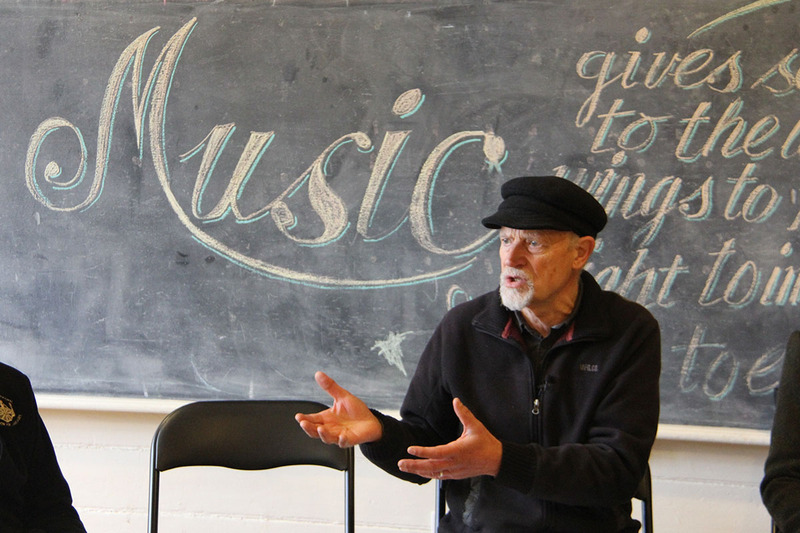 The CMVic vision is that the Singing from Country process will inspire another generation of great songs, which help connect people to place. Many Victorians are street-wise but not land-literate. We can describe the ecosystem of Android verses IOS but not know that a local lake is threatened. The word ‘gum tree’ to many people these days means, an alternative to Ebay. In a consumer-driven society we are brand aware but not land aware. 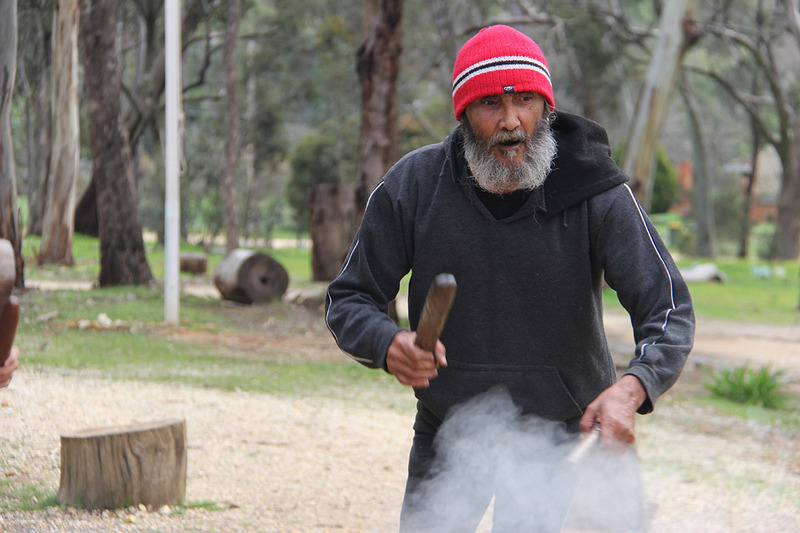 Victoria was once a place where approximately 40 indigenous languages were spoken. These languages spoke richly of our land and held wisdom about how to care for it. Language conveys respect for land, culture and identity – important not only for indigenous cultures, but all of humanity. Without the preservation of these languages, important knowledge will be lost. We face environmental challenges as humans have never faced before. Species, landscapes, oceans and our climate are all under threat. Many people - environmentalists, scientists, and bird and animal lovers are trying to similarly communicate a language of awareness, preservation and care. Music and song can help. It is a universal language. It tells stories. It engages children and the child in all of us. It can help communicate love for land, deepen knowledge of country and strengthen community. It is a powerful force for uniting and galvanizing action. 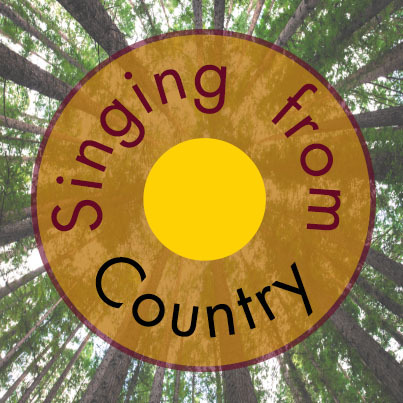 'Singing from Country' is an innovative project, which aims to inspire songwriters, choirs and other community members to learn about, appreciate and celebrate Country, reclaiming our love of land. 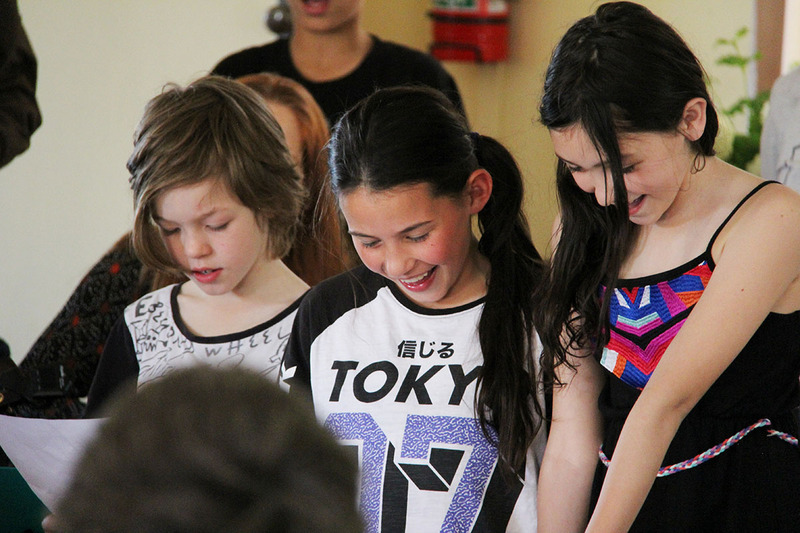 The Singing from Country Project was a pilot study funded by the Australian Government's Regional Arts Fund through Regional Arts Victoria, which ran between May 2016 and June 2017 in the regional areas of Mount Alexander and Greater Bendigo – part of the southeast corner of Dja Dja Wurrung Country. 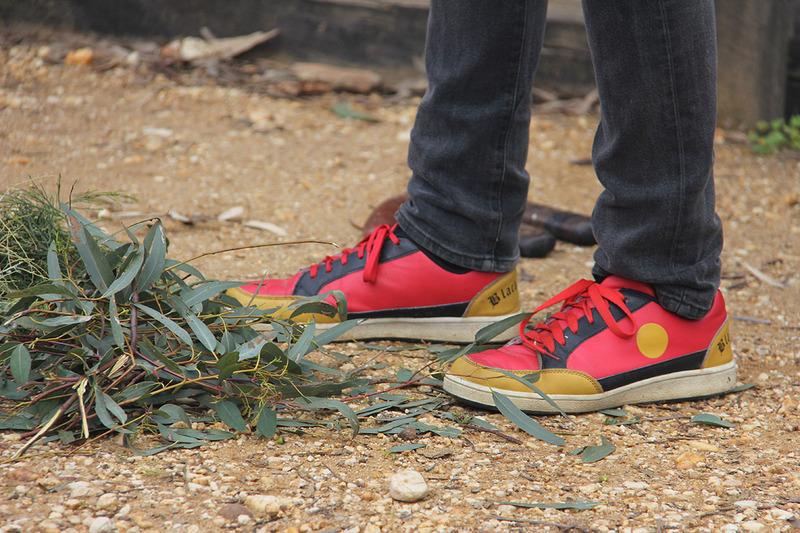 The project gathered songwriters, Aboriginal knowledge-holders, naturalists and ecologists through workshops sharing knowledge of Country. This creative, collaborative process ended with two celebratory festival concerts. The project also produced songs that help reconnect people to place. Some of these recordings are a resource for choirs and the video tells the story of the project process and its outcomes. Project Partners include VACL (The Victorian Aboriginal Corporation for Languages) and Story Telling Australia, Victoria. Our hope is that the success of this pilot project will foster more submissions for similar projects in other areas or a larger grant for this to become a statewide initiative. 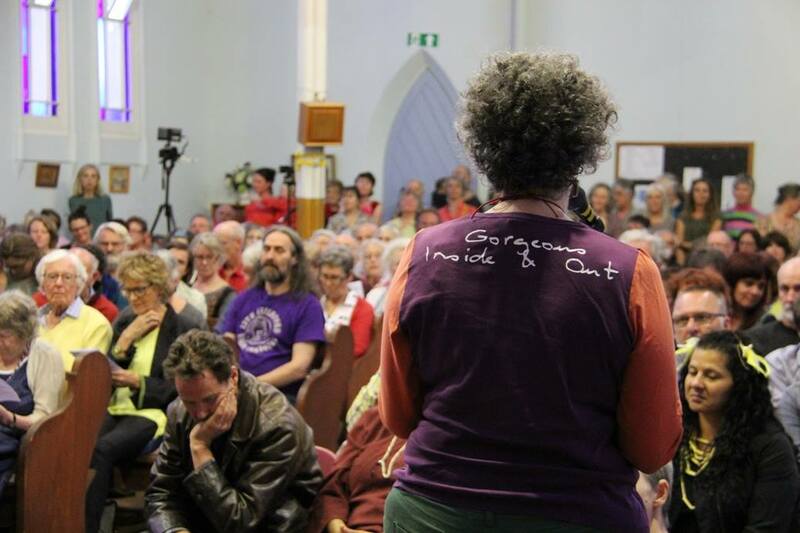 The main threads of Singing from Country (SFC) centred on a knowledge sharing workshop, a project launch and, four months later, a Massed Choir’s concert. These were all separate events woven together by a common theme to strengthen the overall project. 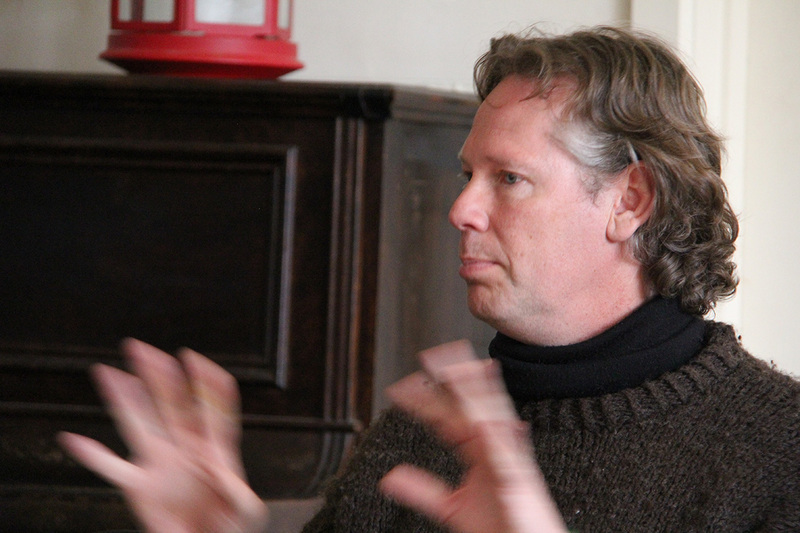 The project began with a call for songwriters and an open application process. A CMVic selection panel choose 4 songwriters to be the main composers for part 1 of the project (May-June 2016). In September 2016, there was an intimate gathering of a small group of local wisdom holders and these 4 songwriters sharing knowledge about country. The songwriters then went away and took various approaches to reconnect with country. 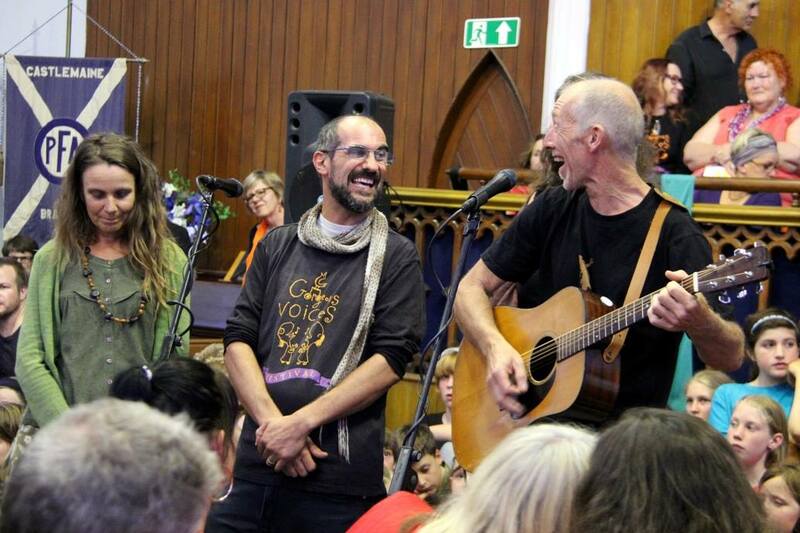 They then wrote 2 songs each – the idea that the community would receive 8 new songs celebrating connection to land. 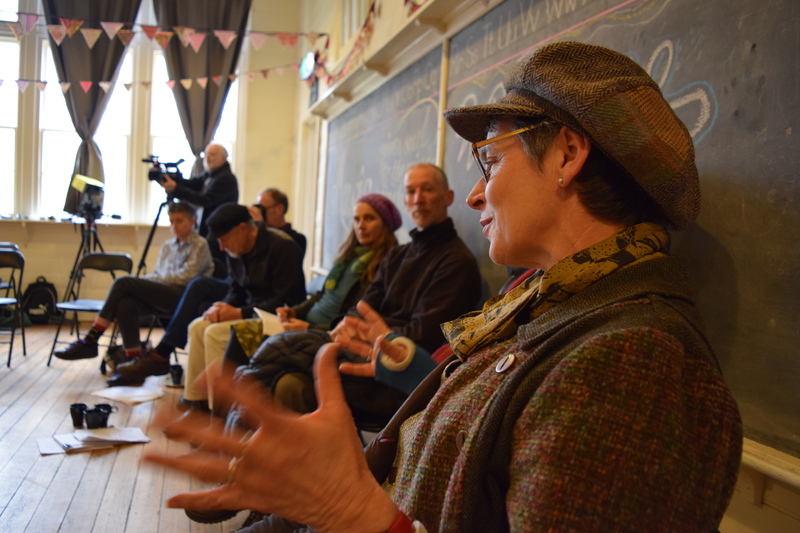 In October, the workshop was repeated at the Maldon, but in a bigger way - a chance for the local wisdom holders to share knowledge more broadly with festival goers and for community interest and expression around the theme of singing from country. That evening the festival showcased the SFC concert where the 4 songwriters unveiled their songs, symbolically ‘gifting’ them to the community. Some of the songs were still in-development so this was a revealing look at what connection to country looks and feels like in relation to the songwriting process. Local choir leaders were engaged to arrange and teach the SFC songs and rehearse with their singing groups. These songs were performed as a large scale concert - part of the Castlemaine State Festival (March, 2017). How can I get involved with Singing from Country? You've obviously found our webpage, which is a great start! Keep an eye on this page for news of the next phase of project as it unfolds. If you are interested in running a project like Singing From Country in the area where you live, we can provide support and advice to help get you started, as well as information about where to seek funding and how to begin the engagement process. Please get in touch with CMVic here. We'd love to hear from you. Now you've found us, stay connected!